Russian opposition: inside or outside the system? Opposition parties in Russia fall into two categories, described by the Russian press as ‘system’ and ‘non-system’. The ‘system’ opposition is made up of the official political parties entitled to participate in elections. This means they have fulfilled the requirements of the Law on Political Parties: a multitude of technicalities relating to the organisational structure of the parties, their programmes and financial accountability regulations. But the main condition is extremely difficult to satisfy, because it requires a party to have no less than 45,000 members. Before autumn 2006 there were more than 30 parties in Russia, but many of them were subsequently closed down because they didn’t meet the legal requirements. Today there are only 7 left: the government party ‘United Russia’ and 6 other parties which are regarded as ‘system’ opposition parties. 3 of them have representatives in the lower chamber of the Russian Parliament (the Duma): the Communist Party of the Russian Federation (KPRF), ‘Just Russia’ and the Liberal Democratic Party of Russia (LDPR). There are 3 others, which are not represented in the Duma: ‘Right Cause’, ‘Yabloko’ and ‘Patriots of Russia’. The main difference between the parliamentary and non-parliamentary parties is that the first are entitled to take part in elections without the imposition of any additional conditions, whereas the second have to demonstrate their entitlement to participate by collecting a large number of signatures. The 'Right Cause' party, led by billionaire Mikhail Prokhorov, is the Kremlin's new project to ensure a loyal opposition in the Duma. But will it manage to secure any seats in the new parliament? Official registration guarantees not only the right to take part in elections, but a range of other privileges, the most of important of which is the right to financial support from the state and to accept private donations. For the opposition parties inside the system the withdrawal of these privileges would be extremely painful. But the stipulations of the Law on Political Parties mean that any party can lose its registration at any moment for some formal reason or other. Firstly, the Ministry of Justice can decide that a party no longer has enough members to comply with the law. When there was a massive check on all the parties in 2006, Ministry employees carefully checked all the party membership lists: they were looking for members who were underage, dead or not resident at the given address. Given that in a list of 45,000 people there are bound to be a certain amount who fall into these categories, none of the parties can ever feel completely safe. "Before autumn 2006 there were more than 30 parties in Russia, but many of them were subsequently closed down because they didn’t meet the legal requirements. Today there are only 7 left: the government party ‘United Russia’ and 6 other parties which are regarded as ‘system’ opposition parties." Secondly, the Ministry of Justice can control a party’s internal life in that it registers the eligibility of its party organs. If Ministry officials decide that a party conference has in some way deviated from its regulations e.g. delegates were elected with some kind of infringement of the formalities or the voting was incorrectly organised, the steering committees elected at the conference are deemed to be ineligible. Formally this doesn’t deprive a party of its registration, but it renders it almost unable to function, as its decisions are no longer recognised by government agencies. More particularly, that party is unable to put forward candidates for elections. Finally, Russian elections are organised in such a way that no one party can take for granted its ability to overcome the extremely high 7% electoral threshold. It is generally agreed that falsification during elections allows 5-10% of votes to be ‘passed on’ from one party to another without any particular difficulty. During the regional elections in the period 2008-2011 the Communist Party’s average support rate was 16.6%, for ‘Just Russia’ it was 10.4%, for LDPR 10.3% and for the others even lower. Outspoken criticism of the authorities during an election campaign can irritate them and result in the organisers removing a percentage of its votes from a party, which then makes it easy to deprive it of its representation. For this reason the Russian 'system' opposition parties are all extremely ready to compromise with the authorities. This manifests itself in an unwillingness to criticise the main government figures or their policies, and also in their choice of candidates. It is, for instance, well known that the LDPR candidate lists often include not only party members, but people put there at the insistence of high-ranking officials like Vladislav Surkov. It is also clearly understood that 'system' opposition parties cannot put forward candidates who are likely to be rejected by the Kremlin. The listless, streamlined campaigns of the 'system' opposition parties; its willingness to compromise with the authorities; the absence of any vibrant, real opposition figures; its inability to concentrate on real problems – all diminish the opposition's electoral potential. Some of these parties (chiefly KPRF and LDPR) have loyal support groups among the voters, but there is no chance of these groups increasing in size. The influence of 'Just Russia' was in many ways predicated on its position as a privileged Kremlin project to edge the KPRF off the political stage. But today the position of party leader Sergei Mironov is enfeebled and the role of the 'second party of government' is being tried out on a new project, 'Right Cause', led by the oligarch Mikhail Prokhorov. On the whole the 'system' opposition is made up of niche parties. Each one has a narrow support group and induces feelings of antagonism in the main body of voters. 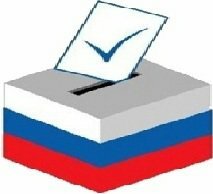 This is why the 'system' opposition suits the Kremlin: voters don't have to vote for 'United Russia' because they like it, but because they like the others even less. The rules of the game in Russia are such that almost no one likes the 'system' opposition. The 'non-system' opposition is made up of a few political parties that do actually exist, but are not recognised by the government and have no right to take part in elections. They have all tried on more than one occasion to register, but have been formally turned down. The best known of them are the People's Freedom Party, 'Other Russia' and the Russian United Labour Front. With no possibility of taking part in elections and their range of possible actions limited by their lack of official status, these parties have to focus on organising demonstrations and other actions of protest, most of which are banned and then broken up by the authorities, and on advertising in the media. But official media are mostly under government control, so they ignore the activities of these parties. As a general rule their only hope is the internet. But the spread of the internet in Russia began relatively recently and most users have a pretty low level of interest in politics. It's not surprising that people in Russia know little about the activities of these organisations. But they do have a degree of influence on the best-educated, relatively well-off people, who are mainly concentrated in the largest cities. So their pre-election strategies are also significant. In Moscow on 23 August the role of the 'non-system' opposition in the run up to the elections was debated. Almost all the unregistered organisations took part in the debate, alongside representatives of two registered parties, the KPRF and Yabloko. That the participants in the debate came from such a wide range of backgrounds is evidence of positive shifts in Russian opposition politics. But on the main questions they failed to reach a consensus. "The 'non-system' opposition is made up of a few political parties that do actually exist, but are not recognised by the government and have no right to take part in elections. They have all tried on more than one occasion to register, but have been formally turned down." There was a wide range of viewpoints, including the fairly exotic (e.g. thinking citizens should demand to have their names removed from the electoral register). But the prevailing two opinions were: to call for a boycott of the elections, or to spoil voting papers. None of these views in my opinion makes any sense. An election boycott would only have any meaning if there were a real chance of achieving a really low turn-out. But there isn't. Ways of organising the turn-out over the past few years have included mobilisation by the administration of significant sections of the population who are dependent on the state (pensioners, soldiers, public sector workers, students etc.) and the virtual bribery of non-politicised groups, which are lured to the ballot box by lotteries, sales of goods at knock-down prices and a range of free services on offer. In practice, it is only these attractions that bring out approximately 50% of the electorate to vote, but doctoring the results easily brings this statistic to 70%. So the authorities don't have to face even a symbolic loss, and 'United Russia' can achieve an almost 100% victory. Spoiling voting papers would represent a somewhat more rational strategy. The problem is that it depends entirely on members of the electoral committees, which, as is only to be expected, count the spoilt papers as invalid. The People's Freedom Party claims to have more than 60,000 members. But the Kremlin doesn’t want its most radical critics in the next parliament and has refused it registration. The party congress, scheduled for September, will decide what tactics to adopt for the near future. Regional elections have shown, however, that in practice votes lost in this way are allocated to United Russia. This is to do with the special way elections are monitored: only the registered parties are allowed to appoint observers and members of the electoral committees and their first concern is for their own results. No one takes any trouble to see that the spoilt papers are correctly counted. This implies that the most sensible strategy for the 'non-system' opposition is to call for votes to be cast for any party other than 'United Russia', as suggested by the well-known political blogger Alexei Navalny in the spring of 2011. The aim is to cause maximum damage to the authorities by minimising 'United Russia's' result. The idea is that the 'system' opposition will to a certain extent be able to defend the votes cast for it, so the effect will not be completely obscured by rigging the voting figures. Of course, the strategy of voting for any other party cannot alter the fact that all the 'system' opposition parties without exception have colossal disadvantages in the eyes of critically-minded voters. What it can do it to push those who are extremely doubtful that there is any point in turning out for an election, or even who entertain the possibility of voting for United Russia, towards a more reasonable step for the reality of today. This is the strategy of the least evil. The main problem with this strategy is that it demands a degree of self-denial in favour of the 'system' opposition parties, which are profoundly alien and indeed often at loggerheads with them. The 23 August debates showed that many 'non-system' opposition leaders are not prepared to do this. It's a fact that the Russian political system is intentionally constructed in such a way as to minimise the possibility of cooperation between the various opposition forces. Direct cooperation brings no immediate advantages to either the 'system' parties, who quite reasonably fear that it could result in punishment from the Kremlin, or the 'non-system' parties, who regard discrediting the existing system (including the 'system' parties which are an integral part of it) as an important objective. Clearly the best cooperation strategy for today's opposition is not coordination, but so-called 'concerted action', which was part of the transition to democracy in both Chile and South Korea. This strategy allows for political actors to preserve their autonomy and a critical attitude to their partners, while making efforts to achieve a result for the common good and refraining from actions which could minimize this result. 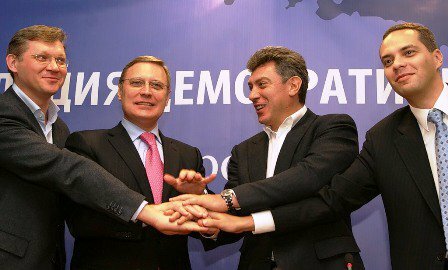 Since a result of equal advantage to all would be achieved by causing the greatest possible damage to the political monopoly, its practical expression would be a call by the 'non-system' opposition for votes to be cast on 4 December for any party other than 'United Russia'.